Have a question about one of our events, our wineries or our region? Please contact us at westsidewinetrail@gmail.com. Please note that we are unable to respond to all messages offering products or services to the Wine Trail and we are unable to book guided tours on your behalf. Guided tour bookings must be done directly with the guided tour company or with the winery. Thank you for your inquiry and we will respond shortly. 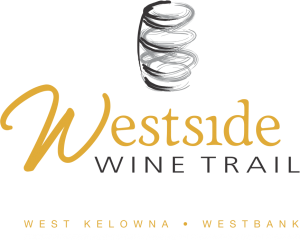 For general information about visiting the Westside Wine Trail, call 250-768-2712 (West Kelowna Visitor Centre) or stop by in person at 2376 Dobbin Rd (Hwy 97), West Kelowna, BC. You will find wineries open year round, along the Westside Wine Trail. Hours vary by season, with the summer seeing wineries open from 10 am to 7 pm (depending on the winery) with the winter bringing reduced hours. It is best to visit each wineries website for exact opening and closing hours. Here is a list of current operating hours. Wines from the Westside Wine Trail wineries are available in restaurants and liquor stores across Canada. Please visit the individual wineries websites for detailed information on where you can purchase their wines. The Westside Wine Trail is on Facebook and Twitter. We invite you to like us or follow along to stay up-to-date with the latest news. Visit www.visitwestside.com for tourism information, accommodation, attractions and activities. For information on the BC Wine Industry visit www.winebc.com.